We started this year with a New Year Blog Review edition that we put together for the beginner preppers. We wanted to help them start working on their preparedness skills so that, by the end of the year, they would feel ready to face any disaster scenario. “Disaster communication is important for our survival. There is no way for us to know exactly when or where a disaster can strike. Advanced technologies can help us predict these occurrences but try as we might, nature seems intent on finding ways to surprise the unsuspecting population. Just think of the tsunamis, typhoons, and earthquakes that we have witnessed in recent years. As preppers, we should always be ready for anything that could happen to our nation, our homes and our families. And we should not only be talking about natural disasters but also the unfortunate incidents caused by fellow human beings. “Survival Lilly is at it again! In this video, she used her creativity, knowledge, and survival skills to make a super shelter. 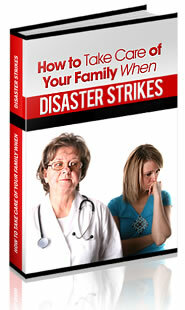 Read more on Swiss Family Survival Skills. One of the first things I did was to make sure we have a 3-month supply of food in case of emergency or in case of a quarantine. We all know what happens when a disaster strikes–the food is cleared from grocery store shelves immediately. In case of a power outage, I made sure I have many shelf stable foods. Read more on Mother’s Niche. This is made from a simple lens called a Fresnel lens… These are commonly found in old rear projection big screen TVs …. Read more on SHTF Preparedness. “Winter just does not feel like winter without an ample supply of baked goods. My husband is a cobbler and pie lover, and I a muffin, cake, and cookie gal. Together, we have spent many a winter eve enjoying a fresh blackberry cobbler with whipped cream, or woke to a delicious blueberry muffin. But this winter, baking has been a bit more challenging because we do not have an oven. Thankfully, we have learned several creative ways how to bake without an oven. Read more on Homestead Honey. “It’s a new year and that means the traditional time of making new goals for yourself. Hopefully you added a few goals to be better prepared this year. I keep an ongoing list of things I want to learn, do, and purchase for preparedness. I call it the “Big List” and keep it in a notebook in my purse. It keeps me working toward a goal and learning and preparing. Read more on Food Storage and Survival. “This summer I made a bunch of fun things out of PVC for my visiting nieces and nephews, and this wind-powered water pump is a combination of two of those projects: a wind-powered deer deterrent, and a pump-style water gun. “I thought I would take a second and share some pretty interesting things I have found on the internet. There are from some high-powered Government Agencies that we can all use; it is open to everyone to help make aware and even hold training for Active Shooter situation. These resources cover applications from the workplace, school campus (K-12, Higher education, First Responders at Schools) , and even church. Read more on Gun Carrier. “Knowing how to tan a hide is a very important skill to know, if SHTF, there will be no new sheets, no new blankets being made or imported in. It will be up to us to stay warm, this is one of the best ways to stay warm. For the last several years, our family, my husband Dan, our son Jesse and I, have been living what some may call the “survivalist” lifestyle. Actually, we live the off-grid (so far off the grid that there is no land line and no cell phone service available), self-sufficient life. We’re not here to get away from the world for a few days while chaos happens and calms down. We don’t think that’s what will happen, anyway.